More and more studies are demonstrating the benefits of ‘age-gap’, or intergenerational friendships for the elderly, children and even students. 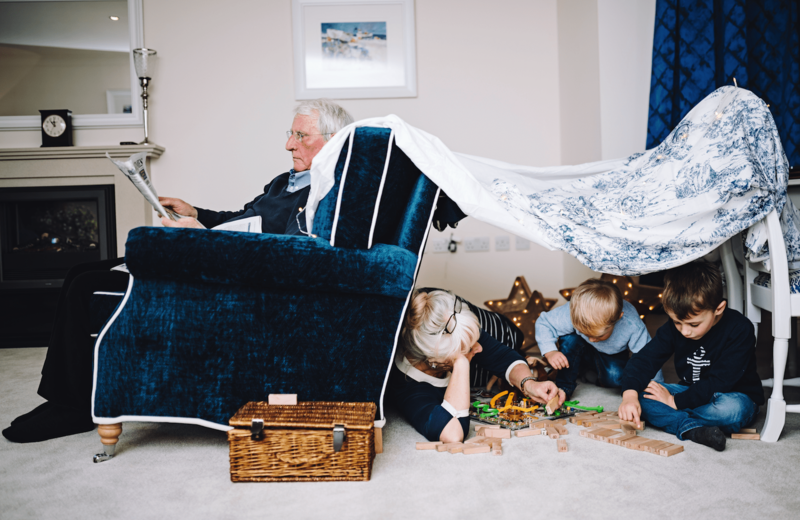 According to a YouGov poll for the charity Age UK, half of grandparents who provide regular care for their grandchildren say spending time with them keeps them physically and mentally active. Almost two-fifths (38%) of those surveyed revealed it gave them a sense of purpose, while 14% admitted it stopped them from feeling lonely. But it’s not just the older generations who can benefit – so can the grandchildren. Forward thinking retirement communities, such as Inspired Villages, are making the most of these impressive findings, hosting events specifically aimed at children and bringing young families into the retirement community to engage with elderly residents. Inspired Gifford Lea, based in Cheshire, recently held a ‘Capturing Christmas’ event, where schools throughout the region were hand delivered baubles for children to decorate and fill with a special message for their grandparent or older relative to bring along to the village. The event offered families and residents the opportunity to interact with each other and get into the Christmas spirit. With nearly 100 local children attending the event, and the village filled with the sound of them exploring and having fun, it really demonstrated what a success intergenerational events can be for all involved. In another intergenerational event, Inspired Great Alne Park, based in Warwickshire, invited children from a local primary school to bake for residents with Head Chef, Tom Blundell. Together they learned to make and decorate shortbread biscuits, which were then presented to residents in the Great Alne Park restaurant, for a truly heart-warming occasion. More than any other time in history, our society is divided by age. In a unique project, a care home in the Netherlands invited six students to live on the premises. They were offered rent free accommodation in return for just 30 hours of ‘meaningful contact time’ spent with the elderly residents each month. In a society with generations so polarised, it’s heart-warming to see such impressive benefits of age gap friendships, for all involved. So, why don’t we all take some time out of our week, and rather than watching Channel 4’s ‘Old People’s Home for 4 Year Olds’ and having a little cry, let’s get out there and make a real difference to an elderly person’s day.